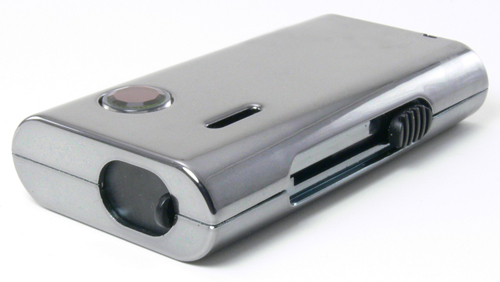 From the first glance it is obvious that the VariVolt DigiBox from LiteCigUSA is not your average electronic cigarette. Intrigued by the features and the promise of three levels of voltage, I bought one to give it a try. The VariVolt DigiBox comes attractively packaged in a two layer flip-top box with a viewing window that displays the DigiBox below. 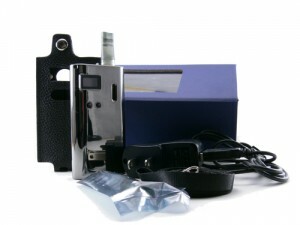 The box contains the unit itself, two 1.2ml vision clearomizers, a 10ml bottle with needle tip, a USB charging cable with wall adapter, a fitted leather cover with lanyard and a manual. Everything needed to start vaping is included with the exception of some e-liquid. Unlike a conventional electronic cigarette or box mod, the DigiBox packs the necessary components inside a well crafted plastic case measuring a scant 45mm x 85mm. One side of the case contains an LED display and two small buttons used to control it. The opposite side has a larger purple button with a blue back-light that fires the cartomizer connection and also turns the unit on or off with five rapid presses. Both sides have a small window through which the clear cartomizer can be viewed. On the thin edge of the unit is a button used to extend and retract the cartomizer. 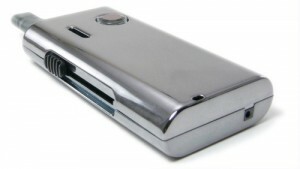 The top of the unit has a sliding cover to protect the cartomizer and a charging port is found on the bottom. The device is extremely light, but seems very well put together with no unexpected rattles or looseness. The lack of heft makes it almost unnoticeable in a shirt pocket, but gives it a slightly cheap feel as well. The DigiBox is available in a rubberized black finish and chrome. The electronic cigarette is charged simply by plugging the connector into the device and can be charged using any USB outlet or the included wall adapter. 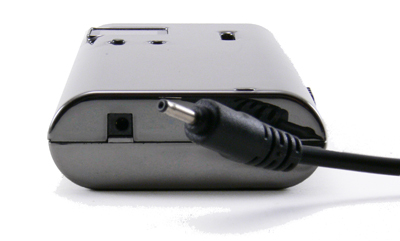 The DigiBox uses a Nokia style connector rather than mini USB, which unfortunately means carrying one more cord when travelling. When charging, the 4-bar battery display cycles continually until it is fully charged, then all bars stay lit. Charging the electronic cigarette takes a couple of hours, but the unit can be used while charging. 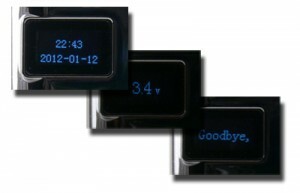 The multi-function display is one of the most unique features of the DigiBox. It displays the number of uses, battery life, time and date, time since last usage and voltage depending on how many times the left button is pressed. There’s even a hokey “Goodbye, my master” message that scrolls across the display when the unit is turned off! Given the number of features and just two buttons, a quick look at the manual is in order. The manual seems to cover everything, but leaves a lot to be desired in terms of size and readability. As noted in some other electronic cigarette manuals recently, there are references to an atomizer and cartridge setup right along with instructions on how to use the included cartomizer. A first time user could easily be confused by this and we’d like to see vendors and manufacturers work together to make manuals a little more useful. LiteCigUSA offers quite a bit more information regarding usage on the DigiBox product page and a few minutes of trial and error are all it takes to get a pretty good understanding of how to set the clock and change the voltage. Unfortunately, the usage count resets at the beginning of each day, making it less useful for keeping track of battery life. The retractable cartomizer is another novel feature found in very few iterations of the electronic cigarette. A button on the side extends the cartomizer for use and it click firmly into place when fully extended. A light press on the button then allows the cartomizer and tip to be fully retracted into the unit. A sliding cover can then be closed to protect the tip when not in use. The included Vision clearomizers are 11mm in diameter and fit perfectly into the opening in the DigiBox. The unit is equipped with a standard 510 fitting, so other cartomizers can be used, although the smaller 9.3mm diameter of a typical electronic cigarette cartomizer will result in a slightly looser fit. The Vision Clearomizers are simple to fill with the included needle tip bottle attachment. Simply remove the mouthpiece, insert the needle into one of the holes along the side and fill. The windows in the unit provide just enough of a view to be able to fill the cartomizer while in the unit, but it is much easier to see the fill level with the cartomizer removed. The mouthpiece included with each cartomizer has a gasket attached that works well to prevent liquid from making its way into the mouthpiece. 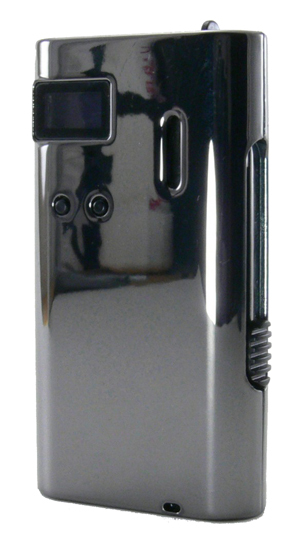 The DigiBox is billed as a variable voltage electronic cigarette capable of 3.4, 3.7 and 4.0 volts. With a fully charged battery and no cartomizer attached, these figures are spot on. Pretty much as expected, the voltage drops below those specs when loaded and the 4v setting cannot be maintained with a partially depleted battery. The chart below illustrates measurement with a fully and partially charged unit using both the included 2.7ohm Clearomizer and a 1.7ohm cartomizer. All in all the voltages under load are not equivalent to the unloaded specs, but are very respectable for an electronic cigarette in this price range and size and full 4.0v is typically only found in full variable voltage mods with larger batteries. 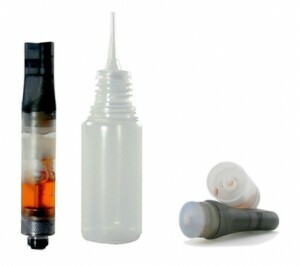 By comparison, a typical eGo electronic cigarette operates at 3.3v loaded. When I first unpacked the included clearomizers and measured them at 2.7ohms, my hopes for a great vape from the VariVolt DigiBox were somewhat diminished. After the first vape, however, I was pleasantly surprised. Even at the 3.4v setting, the cartomizers provide decent throat hit and a good amount of vapor. 3.7 and 4.0v increase that performance incrementally. Flavor production is somewhat less satisfactory and is a little muted. There is also a notable plastic taste that has not gone away after several fills. Putting an 801 drip tip on the cartomizer seemed to eliminate that taste, indicating that it is coming largely from the mouthpiece. The 801 drip tip does not have a gasket to seal the cartomizer correctly, however and resulted in a leaking mess when the unit was inverted. With the stock mouthpiece attached there was no leakage noted so far. The DigiBox device itself has performed flawlessly and is one of the most pocket friendly electronic cigarette devices I’ve tried. The light weight makes it very easy to carry and the included leather case protects it from scratches. Being able to turn the device off and retract the cartomizer makes carrying it in a pocket or purse worry-free. Performance begins to wane when the battery indicator drops to three bars or less, but the 750mAh internal battery still provides a days worth of moderate vaping. The VariVolt DigiBox from LiteCigUSA is worth consideration more for its unique features and portability than for its limited variable voltage capability. At $55.95 it is competitive with other electronic cigarette starter kits and offers useful functionality that will make it an attractive alternative to a typical electronic cigarette design.